Continue reading"Mixed Curry Flavoured Rice with Coconut Milk, Spinach, Chicken -Healthy"
Natty from It’s Just Food, So Try It!!! 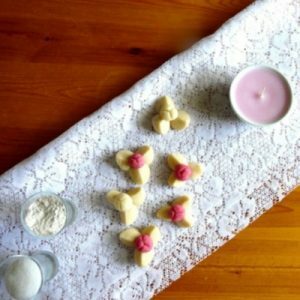 shares her recipe for a Thai Dessert : Khanom Kleeb Lamduan. Continue reading"Thai Dessert : Khanom Kleeb Lamduan"